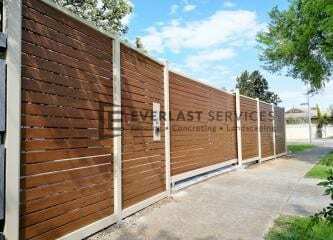 Twenty years of experience in residential fencing means Everlast Services (formerly known as Everlast Fencing) has the expertise to deliver almost any job. Our commitment to quality and our ability to adapt our skills to different types of projects allows us to provide exactly what the customer wants, even if we’re taking on something we’ve never done before. This job in Williamstown is the perfect example of the Everlast Services team’s gift for innovation. The client asked us to create a custom steel structure that would allow the fence to essentially hover over the balcony. 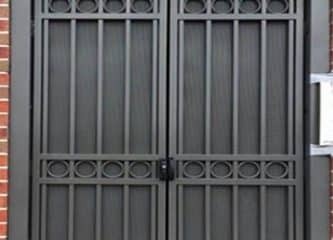 We were asked to create a pearl bronze powder coating for the structure which is a very rare, and hard to come by powder coating. The steel fabrication for the entire job was done in our steel fabrication plant in Hopper’s Crossing. This not only saved the client money, it also allowed us to have complete control over the fabrication process and ensure everything was perfect. 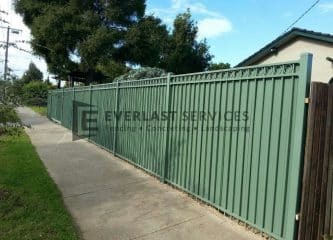 We believe that the structure we created is the only one of its kind in Melbourne. 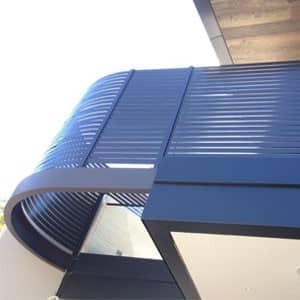 Each one of the slats was bent by hand to give it the nice curvature that allows the structure to skirt around the curve of the balcony. This project was a labour of love for out fabrication and installation team. It required painstaking planning and attention to detail and the team devoted a lot of energy and concentration to the job. Once the finshed product was ready though, all the work was worthwhile. 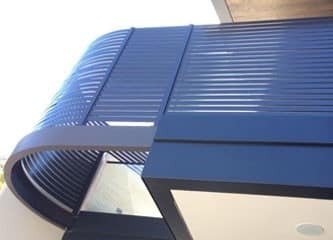 We delivered exactly what the client wanted and the structure does seem to hover and the curvature is absolutely perfect for each of the slats. The structure seems to glide around the balcony and it has added a graceful look to the house.